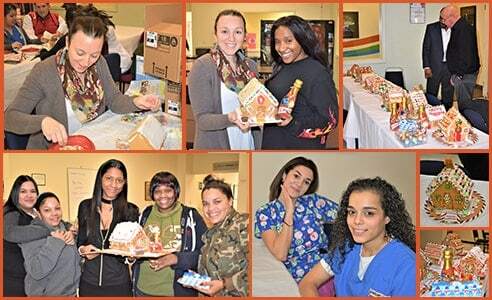 December 2017, West Hartford, CT – Every year since 2012, students and staff at American Institute’s West Hartford campus have helped make the holidays special for local children by presenting them with handmade gingerbread houses. Working from kits donated by AI, students and staff applied their artistic talents to produce more than 50 whimsical candy-covered creations. The gingerbread houses were then judged by an expert panel, which awarded prizes to the winning designs. The gingerbread houses were donated to the local radio station 96.5FM TIC at the annual “We Are the Children” holiday party for the children to enjoy and take home..